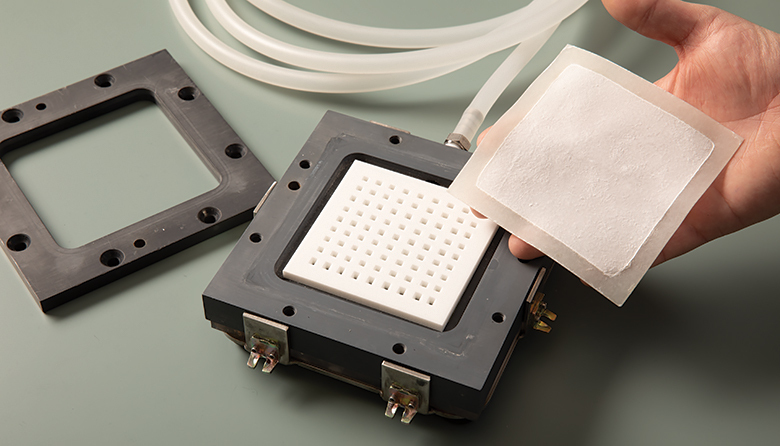 Membrion is engineering the structure of membranes to better suit different filtration applications. While serving as an entrepreneur in residence at the University of Washington’s Clean Energy Institute, renewable energy innovator John Plaza was looking for another company to run. He found one after meeting Dr. Greg Newbloom. Newbloom, a chemical engineer, had developed alongside UW Professor Lilo Pozzo a technology that uses silica gel — a nontoxic material often packaged with new shoes and beef jerky — to create a new class of inexpensive, flexible ceramic membranes that separate molecules from liquids. The technology could be used for everything from desalinating water so it’s drinkable to storing renewable energy in massive batteries. (Think California’s water crisis or a municipal grid seeking cleaner power options). Plaza, who founded Seattle’s Imperium Renewables, the first commercial biodiesel production facility in the western United States, immediately recognized the potential of the technology. He signed on as CEO of the company, Membrion Inc., in June 2017. Investors are taking notice. Membrion, which employs 10 and operates in a 1,400-square-foot office in Pioneer Square, recently raised $2.23 million in an oversubscribed seed-funding round to commercialize the technology. The company also recently sold $1.485 million in securities to help fund operations through 2020, according to SEC filings. John Plaza, above left, is CEO and Greg Newbloom is CTO. Plaza says it’s too early to discuss profitability, but he expects “early revenue” later this year as it commercializes its first products. It plans to raise a series A round in 2020. Plaza says the global market for Membrion’s technology is $2.7 billion and growing.